I don’t mind passing along the golf shot of my life. This came while I was still at Harvard, and was playing with another hacker pal of mine one weekend at a suburban course in Wayland, Mass. There was a party of three just ahead of us on the course, and I waited for them to get a decent distance ahead on some hole before I stepped up and somehow hit the longest drive of my life, which began to fade ominously in their direction.…The ball hit a couple of yards behind them and then I saw one of them begin to writhe and jump about oddly. He didn’t go down, but when I’d gotten to within his cursing distance we discovered that the ball had come down inside his collar and had ended up down his back somewhere. 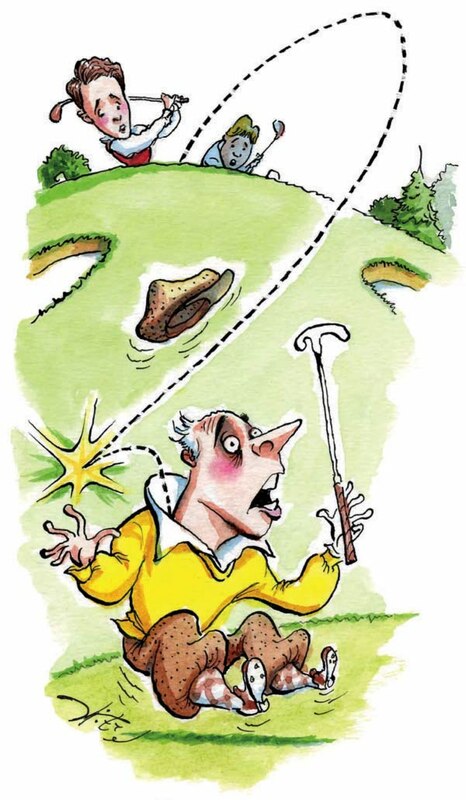 I apologized endlessly but couldn’t quite suppress my grin: Wow—greater than a hole in one, any day! That was in the old days. Now atomic fission is everywhere. Nowhere is the conflict between East and West, Communism and Democracy, so clearly outlined as on the Charles River. A nightmare is haunting today’s single sculler: the vision of a motorboat filled with little boys. The little boys are armed with rocks, and they pursue him relentlessly until he is capsized into the nuclear waters of the Charles, Cambridge’s first casualty from radioactivity.